Attrition is the silent killer that can swiftly disable even the most successful and stable of organizations in a shockingly spare amount of time. While many companies put an emphasis on the costly process of hiring and recruiting, there isn't enough attention invested in solving the issues that cause top talent to leave. 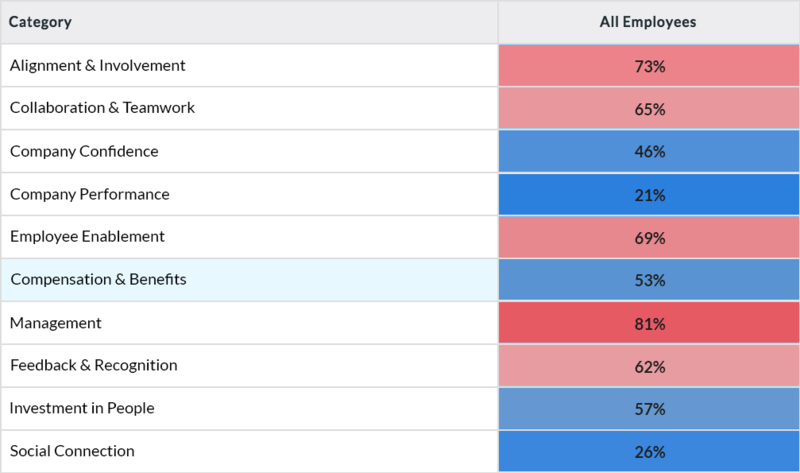 Although compensation is the most commonly associated reason behind attrition, people analytics is able to reveal the true drivers behind attrition, surprising many employers by demonstrating that compensation is not at the top of the list. Understanding the motivations behind employee attrition is the essential first step in understanding the problem and properly addressing it before substantial, long-lasting damage is caused to your organization. Thankfully, technology is now able to provide employers the actionable insights they need to better understand their employees and make any necessary changes before turnover rates swell, productivity drops, and the entire company's future is suddenly less bright. People analytics empowers employers with a deeper, much more thorough understanding of their employees and, thus, equips them with the data points needed to identify, analyze, and address the sources of attrition before an organization-wide crisis is formed. With total cost of replacement averaging between 6 and 9 months of an employee’s total salary, and 75% of the causes behind attrition being preventable, it is obviously in a company’s best interests to leverage the insights provided by people analytics to minimize cost and and increase employee satisfaction to avoid such hazards. As mentioned, contrary to popular belief, compensation is typically not the primary motivator when an employee chooses to leave an organization. In fact, recent studies have shown that a variety of subtleties can drive attrition. For instance, employment anniversaries, birthdays, class reunions, and other personal milestones often serve as the trigger point to an employee leaving a company. To that point, job hunting rates rise as much as 9%, 12%, and 16%, respectively, following these events. This, of course, is a perfect example of the benefits people analytics can bring to an organization. Historically, these types of data points have been obscured – at best – from an employer's point of view. The ability to transform such subtleties into quantifiable, actionable data – the very insights provided by people analytics – has become an absolute necessity in minimizing attrition and stabilizing an employee base. Although the direct costs of replacing an employee to an organization are significant in of themselves – and still trending upwards due to tight labor markets and the ever-growing collaborative nature of the workforce – the indirect costs can be even more substantial. When an employee leaves an organization, the company not only loses an individual worker but the benefits derived from the working relationship between that employee and their coworkers as well. Furthermore, their specific skill set and knowledge base that might have included an important, singular perspective along with information on customers, vendors, and other significant aspect of operations is also lost. Investing the necessary resources in terms of money, time, and effort to recruit, train, and maintain a replacement can be extraordinarily costly for a company and, under many circumstances, impossible to replicate. Fortunately, all is not lost for employer's trying to minimize the overwhelming costs of attrition. Leveraging the significant insights provided by people analytics, companies can now better arm themselves with the information needed to identify potential sources of turnover and address them accordingly. As an example, Credit Suisse recently implemented a program built upon the data provided by people analytics to curb their own attrition issues. By simply using the data that helped identify employees at risk of leaving and alerting those same employees to openings within the company, they were able to reduce attrition by 1%. While this number might not seem significant at first glance, Credit Suisse estimates it saved between $75 million and $100 million in 2014 alone by moving 300 employees to other positions within the company. As Credit Suisse demonstrates, companies are now routinely collecting people data from a variety of different touch points to better understand the many variables at play that impact employee satisfaction and attrition rates. In other words, HR departments are no longer left guessing as to the factors driving employee turnover can now rely on quantitative data provided by people analytics to provide a far more reliable sense of direction. Big data can now drive people analytics to give HR far more prescient abilities than ever before, providing HR with the data and predictive trends to pinpoint sources of attrition. In certain environments, HR departments are even employing everything from electronic surveillance to complex analysis of employees' social media feeds to better understand the employee journey and the dynamics that impacts satisfaction levels. The below-listed reasons behind attrition rates within organizations represents the culmination of an exhaustive survey that analyzed the people data of 10,000 employees from the five main segments of modern industry as well as several peripheral industries. As demonstrated by the resulting heat map/trend graphic, where the top drivers to attrition are highlighted in red, the biggest contributors to turnover rates aren't necessarily the ones that might immediately come to mind. In fact, Compensation and Benefits are not even among the top five of the factors to attrition. Employee satisfaction is largely dependent on a sense of confidence in senior leadership. To that point, Management is the leading contributor to attrition with 82% of surveyed employees listing it as a motivating factor in leaving an organization. This is often due management not communicating well or effectively to their team. Without effective management, employees can feel like they are lacking a sense of direction, drifting rather than being led. A workforce wants to feel like they are important components of something bigger than themselves and that there efforts are being made for the greater good of the organization as a whole. All of these sentiments stem from effective management. Recently, a major US insurer was looking for a solution to their abnormally high attrition rates. Their initial efforts – to simply offer bonuses to managers and employees who opted to remain with the company – were met with minimal success. In search for a smarter, more effective solution, the company then turned towards people analytics to create profiles of at-risk workers, gathering intelligence in everything from basic demographics and performance ratings to educational backgrounds and past compensation. After analyzing the resulting data, the company found that employees working in smaller teams with few promotions and lower performing managers were more likely to leave. In response to these findings, the company concentrated on creating additional opportunities for learning developments as well as stronger support from higher-quality managers. As a result, performance and retention levels rose while total expenses fell due to elimination of the ineffective bonuses. While Management certainly has an effect on Alignment and Involvement as well as Collaboration and Teamwork, company culture is the primary influence on these particular attrition factors. Collectively, the various components of corporate culture impact both the overall feeling of involvement and sense of teamwork and collaboration, as evidenced by the 73% and 65% respective attrition factor data points in the heat map data. From a people analytics perspective, career opportunity ratings along with culture and value ratings are the primary metrics used to measure the impact of company culture. A recent study on these attrition factors revealed that workers who felt comfortable within an organization and meshed well with its culture, coworkers, and management experienced significantly higher levels of job satisfaction. Of course, this also made them less likely to leave their company and provided incentive to excel at their positions. As the 69% heat map attrition factor indicates, a workforce needs to feel fully prepared with the appropriate environment, tools, and resources in order to be successful at their positions. Enabling employees for success, however, shouldn't be confused with engagement. A worker can feel engaged with their company but still not feel enabled to excel. In the instances when employees are engaged but not enabled, nearly a third are still likely to seriously consider leaving the organization. When an employee feels neither engaged nor enabled, a whopping 76% will seek other employment. With Millennials and Generation Z quickly becoming the primary drivers of a tight labor market, employers must adapt to the specific factors that influence these new age demographics. With 8 out of 10 Millennials wanting consistent feedback on their job performance, organizations are well served by adopting and maintaining feedback and recognition programs to minimize their susceptibility to attrition from the younger portions of their workforce, as demonstrated by the corresponding 62% heat map attrition factor. One of the best ways to give and receive quality, informative feedback is to develop a more thorough understanding of how your employees feel about their own job performance and any specific areas they might feel dissatisfaction. Implementing a system of frequent and consistent surveys and polls will allow management to quickly address those areas where employees feel they are underperforming or the company itself is falling short of their expectations. Fighting against the many factors that contribute to attrition must be a consistent, ongoing effort. As the heat map data indicates, the underlying motivations for employee turnover are varied and often subtle. Therefore, leveraging the timely and targeted people data provided by Hyphen’s employee feedback platform can be an essential component to understanding the specific needs and concerns of your workforce to optimize the employee experience and, therefore, minimize the potentially devastating effects of employee attrition.